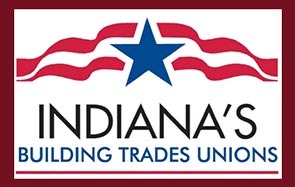 Indiana’s Building Trades Unions are the single-largest provider of skilled construction professionals to Indiana’s construction contractors. Affiliate unions work with signatory contractors to supply a highly trained workforce that is driven to pursue quality, productivity and safety. They focus their efforts on supporting the Building Trades through training, hiring, scalability, and portability of benefits. 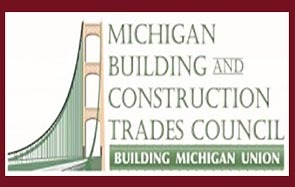 The Michigan Building and Construction Trades Council supports the interests of nearly 100,000 construction workers in the State of Michigan. They focus on key issues like job site safety, political advocacy, apprenticeship and training programs, community outreach, and promoting the work of the skilled journeymen and women of Michigan’s Building Trades. 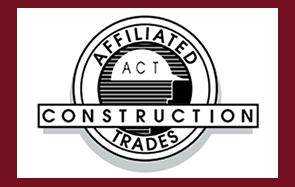 The West Virginia State Building and Construction Trades Council and West Virginia Affiliated Construction Trades (ACT) is an umbrella group comprised of local construction unions and their members who work in West Virginia. Together, they work to advance apprenticeship training, encourage development of health and safety programs, and assist in securing improved wages and working conditions. 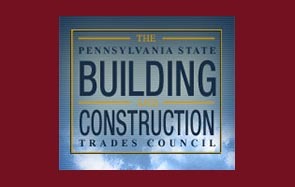 The Pennsylvania State Building & Construction Trades Council (PBCTC) is made up of 16 Regional Council and more than 115 local unions from 15 International Building Trades Unions. The PBCTC focuses its efforts on issues such as Prevailing Wage, safety training, Building Trades Apprenticeship programs, organizing, and promoting the skilled members of the Pennsylvania Building Trades.